So many children face so many obstacles to growing up into confident, independent adults — maturing into women and men who demonstrate compassion to their neighbors, are capable of contributing to their communities, and find themselves engaged in a fulfilling vocation. 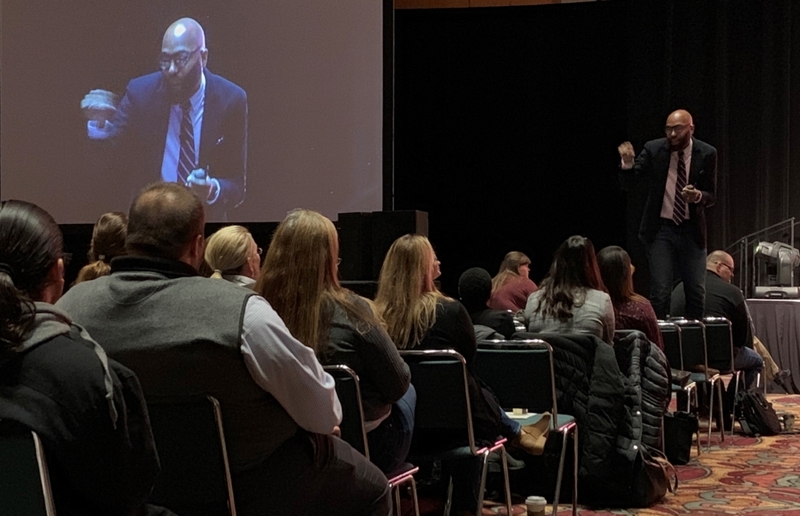 Indiana Youth Institute’s recent Kids Count Conference in Indianapolis, which brought together more than 1,000 professionals from across the state involved in various aspects of youth development, underscored the perils young people face every day. It also was a welcome reminder there are many, many Hoosiers striving to make children’s lives brighter. Every day. Make no mistake, the task is daunting. Problems such as drugs, poverty, and unhealthy behaviors remain perniciously embedded in our culture, but they bear newer, greater dangers for young people. Drugs, for example, are refined and made more addictive. Advances in imaging techniques allow us to take a picture of a young person’s brain and see how living in a high-stress, unstable environment inhibits its growth. Even as fewer Hoosier students are smoking cigarettes now, many more of them have turned to vaping. This generation of young people is growing up in a world unknown to their parents and grandparents. Technology — notably in the form of phones and tablets — is being used as a pacifier. You’ve no doubt seen it: A parent hands a “screen” to a fussy toddler to quiet him. There’s no ill intent behind the decision, just a desire to comfort the child. But when that screen flicks on, part of the child’s brain flicks off. The device encourages the child to become disengaged and disassociated from the human interactions occurring around him, and it’s happening during the period of his life that’s most critical to his brain’s development. Social media, which has brought people together across cultures and continents, can cause young people to feel alienated and isolated when it’s bent into a tool for bullying. Teachers and school counselors now find themselves helping students navigate the choppy waters of friendships made more fraught by Snapchat, Twitter, Facebook, and the like because the students lack relationship skills forged by face-to-face interactions with others. The Kids Count Conference provides a forum for Indiana Youth Institute to preview its upcoming Kids Count Data Book that tracks the well-being of Hoosier youths in four areas: family and community, health, economic, and education. The upcoming 2019 Data Book contains a mixed bag of results, just as it has in previous years. Across all four areas, Indiana ranks 28th among states. Most concerning, the state ranks 48th for child maltreatment; 43rd in the number of youths in juvenile detention, and 43rd in infant mortality. Indiana, however, fares well in other benchmark categories, including fourth-grade reading proficiency (seventh among states), high housing burdens (10th), and high school graduation (13th). Dr. Christopher Emdin, professor, author, and creator of the #HipHopEd social media movement, speaks at Indiana Youth Institute’s 2018 Kids Count Conference. With all the challenges facing young people, it would be easy to throw our collective hands in the air because the work to overcome them is just too hard. And yet, as much as the Kids Count Conference is an acknowledgement of the issues that affect the healthy development of children, it is a celebration and affirmation of the many, many schools and organizations that engage, educate, and prepare our young people for the future. It is that hoped-for future that drives those in youth development and compels them to do more. Chester E. Dekko, who created the Dekko Foundation in 1981, believed when young people have access to an education that helps them grow in skills, knowledge, and character, it prepares them to lead a life of independence and self-sufficiency. That’s why he gave the foundation its mission of fostering economic freedom through education. The principles underlying his mission have stood the test of time and are as applicable in 2018 as they were when he was growing up in Minnesota during the Great Depression. The foundation, however, cannot do it alone. It is only through the work of partners that the mission of economic freedom through education can be realized. They are the ones working with young people. Every day. They are the ones doing the difficult and often unheralded job of building skills, knowledge, and character. Every day. Yes, our young people will continue to face significant obstacles as they make the long journey to adulthood. But we should be encouraged there are so many caring adults and organizations throughout Indiana who understand those challenges, are passionate and committed, and stand ready to serve them. 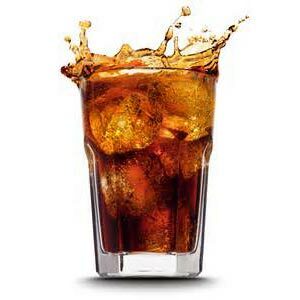 It’s easy to suggest that your spouse should exercise and cut out soda. It’s another thing entirely when you have to lace up your sneakers and avoid the sweet brown fizzy stuff yourself. It’s called walking the talk. It’s hard! At the Dekko Foundation we ask our grantseekers to take a step back from their work and deeply consider what children and young people need to grow and develop. To be sure that we walk our talk, we’ve stepped back from our work to consider: What do teens need from us as grantmaking professionals? After being in school for so many years, teens are a little bit tired of formal learning. They want to do something hands on! They’re searching for a sense of purpose in their lives. They’re capable of advanced reasoning…think problem solving. They may become philanthropic if led in that direction. Knowing these things, it seemed natural for us to teach our field of philanthropy to teens. Our latest video shows what we (and the kids) are learning! If you know a group of young people who want to make their community a better place, make them aware of our grants for Youthful Eyes and Ideas. http://www.dekkofoundation.org/wp-content/uploads/2014/10/cola1.jpg 300 300 Sharon Smith http://www.dekkofoundation.org/wp-content/uploads/2018/04/dekko_logo.png Sharon Smith2014-10-16 11:27:242014-10-16 13:50:38Walk that talk!! !